Hunting dogs were very popular in 19th century art, and these dogs were also widely used to put food on the table. Most of the dog breeds were Pointers, Setters, Spaniels, and Retrievers and many of them looked quite different in the mid 19th century than they do today. 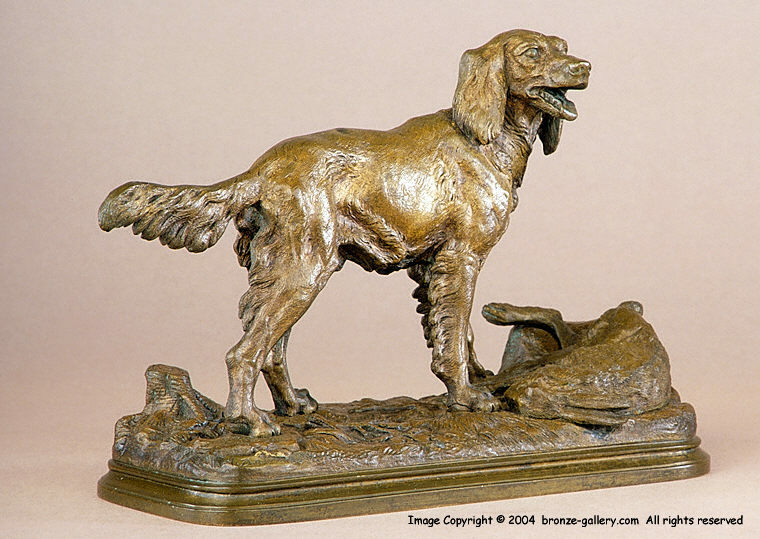 This makes it difficult to know exactly what breed is shown in a sculpture unless the artist has engraved a title on it. 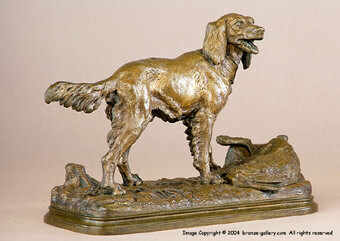 This well modeled bronze sculpture of a Setter Dog is expertly cast and finished in a medium brown patina. Alfred Dubucand shows his abilities in this sculpture and one can easily see the influence of Barye, his teacher, in the attention to detail taken with both the dog and the hare at its feet. 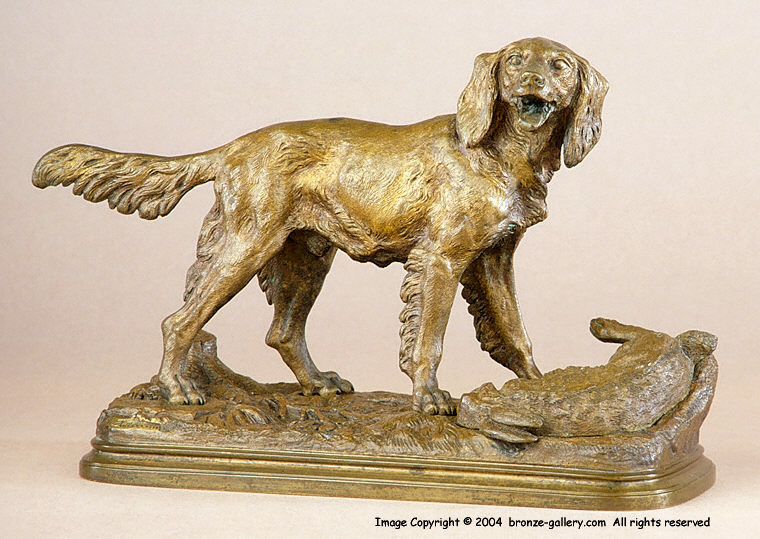 This fine bronze sculpture would be an excellent addition to any collection or for the sporting or dog enthusiast.